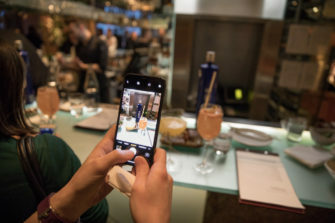 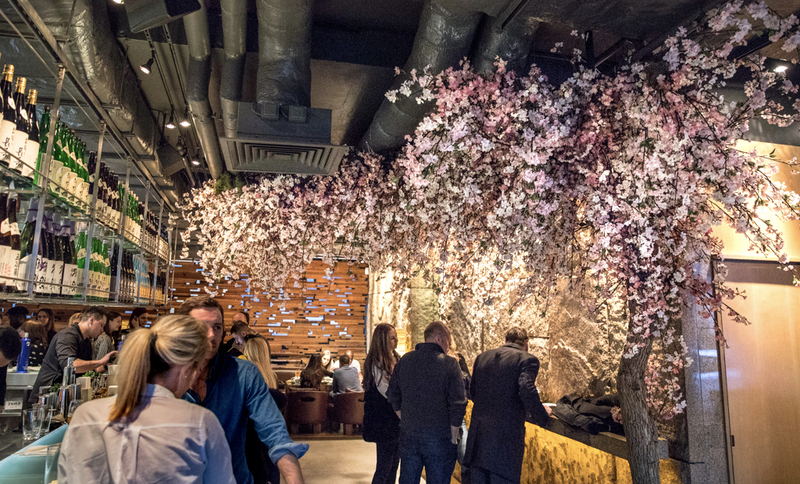 Celebrate sakura this spring at renowned modern Japanese restaurant and bar Zuma in Knightsbridge, who have teamed up with French vodka brand Ciroc to create a modern cherry blossom installation. 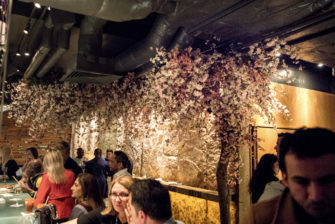 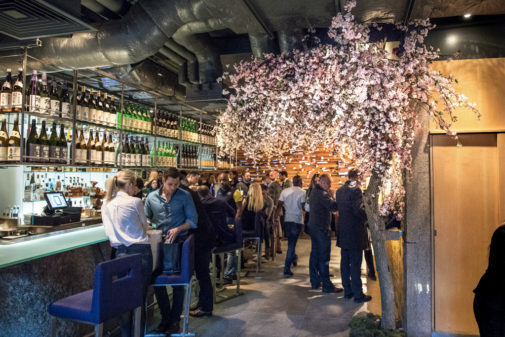 Launching for cherry blossom season in Japan, the unique installation features real-life tree trunks and branches covered in beautiful pale pink flowers that will run along the ceiling and the main wall of the Zuma bar, bringing a taste of this iconic Japanese season to London. 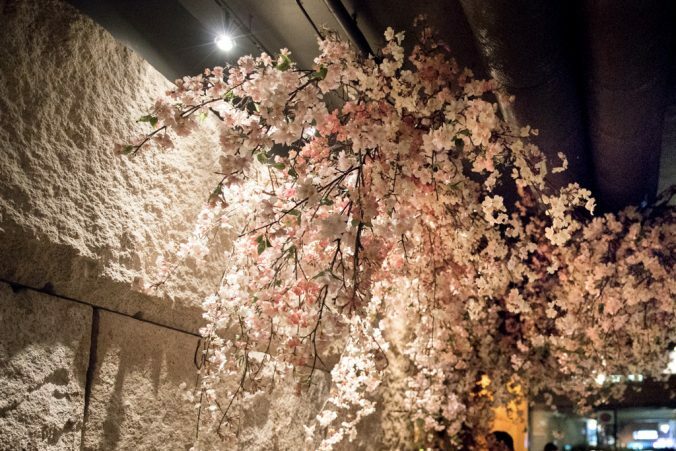 Guests can sit under the beautiful waterfall of flowers and enjoy the bespoke Sakura Ciroc Menu selection. 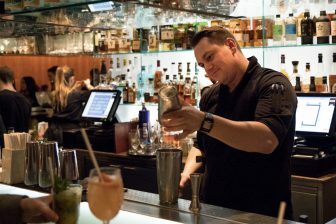 Six exclusive cocktails have been created by bar manager Pawel Rolka and his team, which combine compelling seasonal tastes from Japan with some floral scents and classic Ciroc vodka. 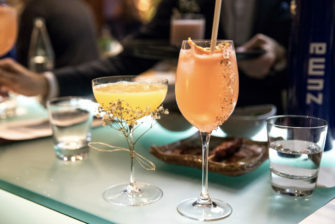 Our favourite is the Hokkaido Spritz – with vodka, juniper sake, lemon, almond, grapefruit juice, rose water, yuzu tunic – which has an intense taste whilst maintaining a light, refreshing sensation on the palate. 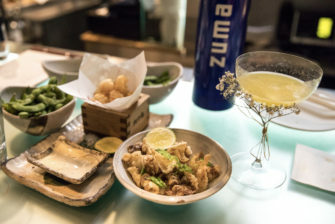 Or if you prefer something more fragrant, try the Yamazakura Martini, containing vodka with poached peach in saffron and sake with a ginger and yuzu cordial. 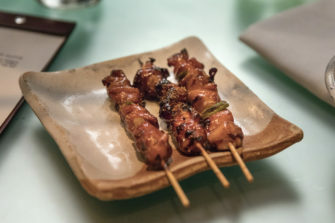 Don’t forget to order some of the exquisite bar nibbles to go with them. 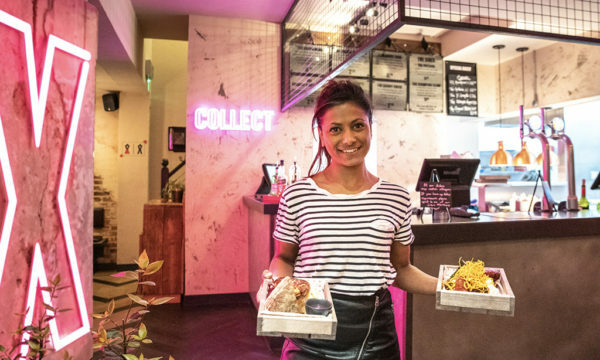 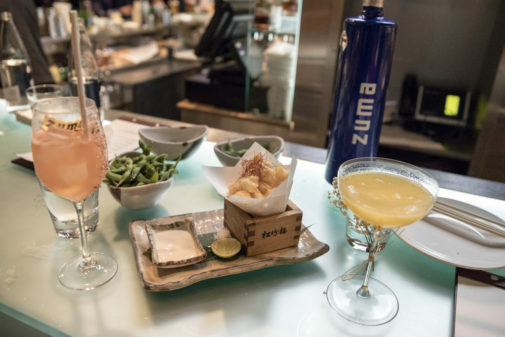 The Okinawa Cooler – which also sees the sakura infused vermouth with vodka, grappa, escubac, grapefruit juice, rose water, watermelon and yuzu tonic water – stays true to the floral theme. 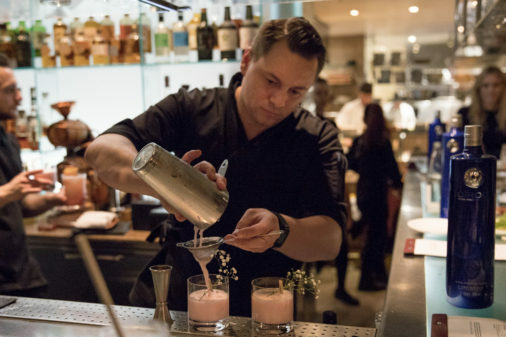 The Hanami Sour – which sees vodka, aloe vera, jasmine and rose yoghurt, almond syrup with yuzu and lemon juice – is an unusual mix and stays true to the plant-based flavours. 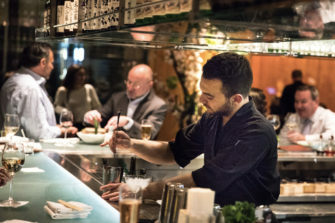 The Sakura Martini is made with vodka, sakura-infused vermouth and pickled sakura – a perfect pre or post-dinner drink. 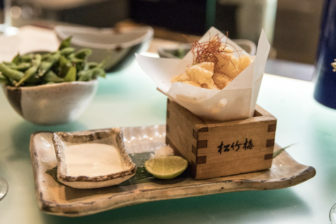 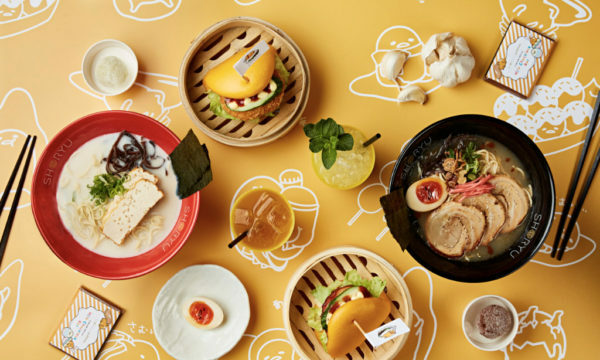 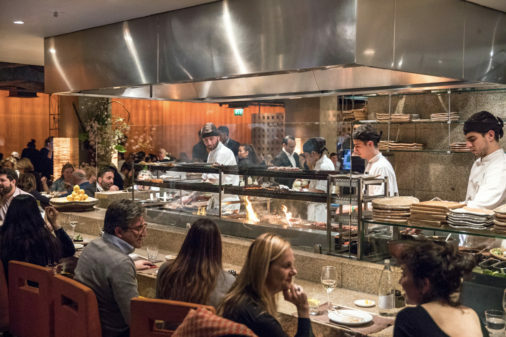 Zuma is a contemporary Japanese izakaya, and the bar at Zuma is designed with this concept in mind. 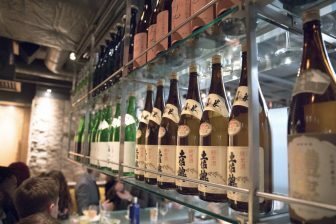 Guests can enjoy over 40 different varieties of sake at the bar, together with a wide range of alluring and eclectic cocktails. 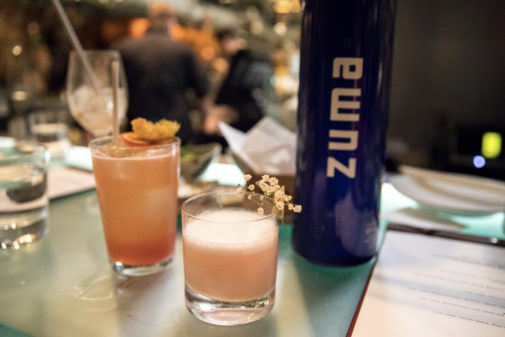 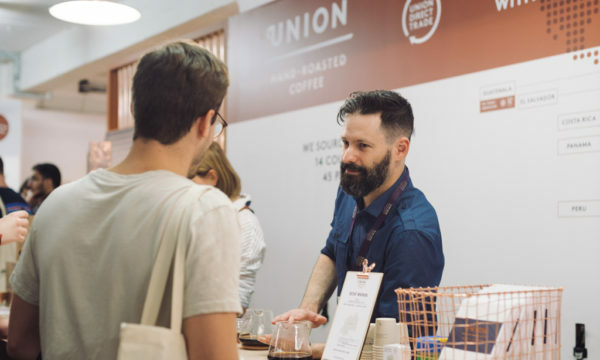 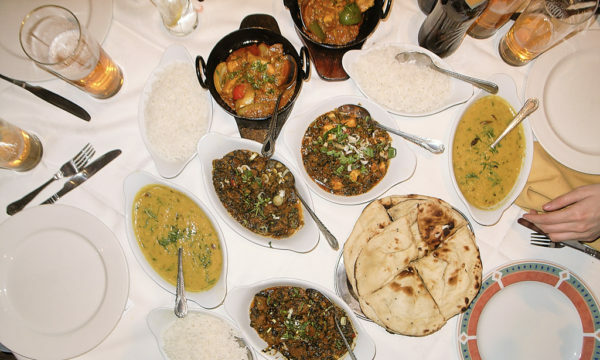 Seasonality and quality of ingredients are integral to the Zuma essence in both food and drinks. 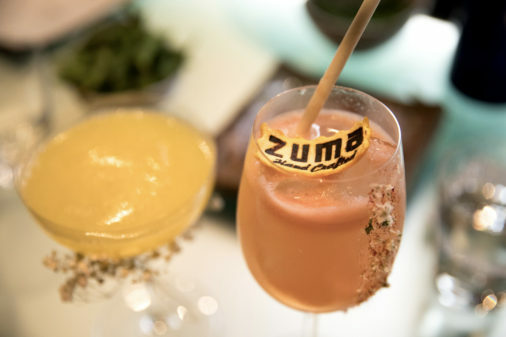 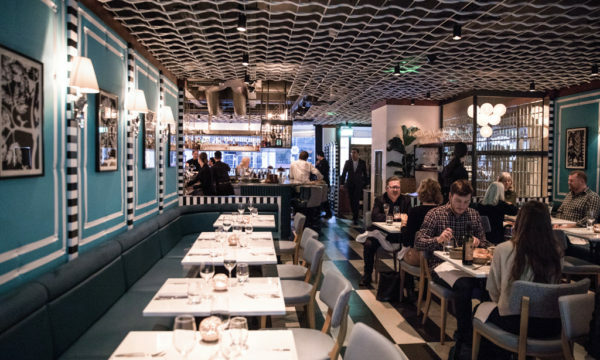 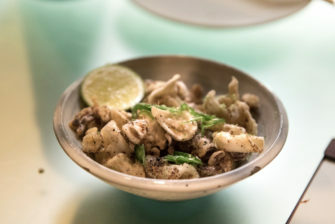 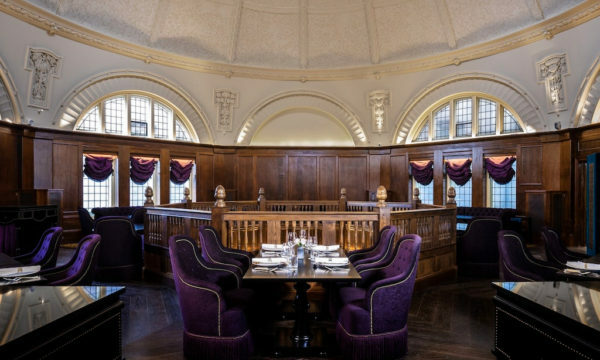 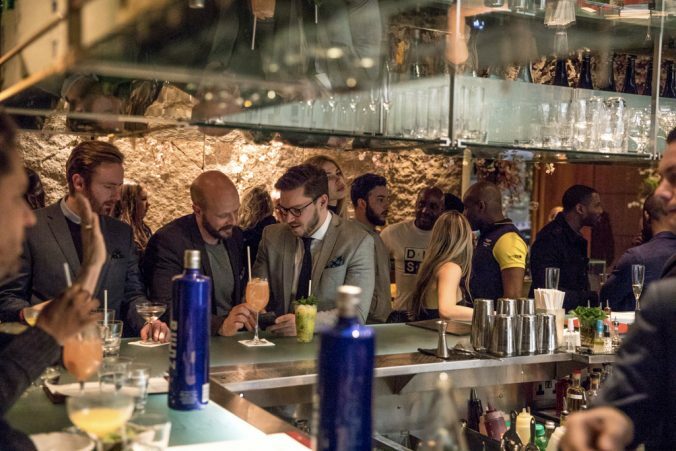 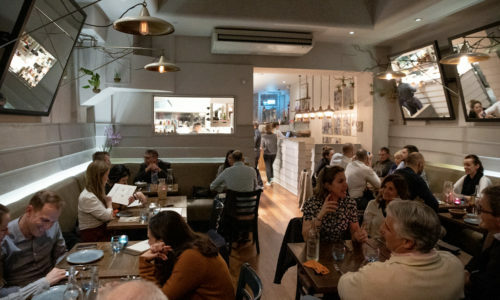 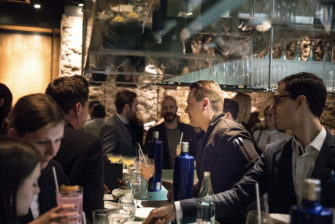 The new drinks will be offered alongside Zuma’s original cocktails and an extensive wine and champagne list. 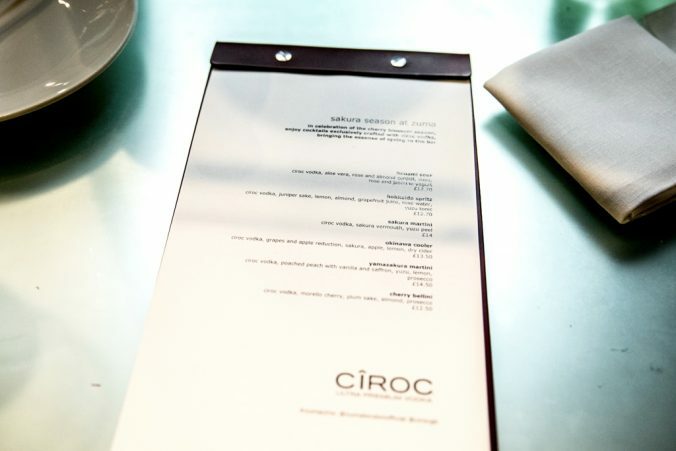 The Sakura Ciroc Menu is available at Zuma, 5 Raphael St Knightsbridge London SW7 1DL, from 26th March until 17th June 2018. 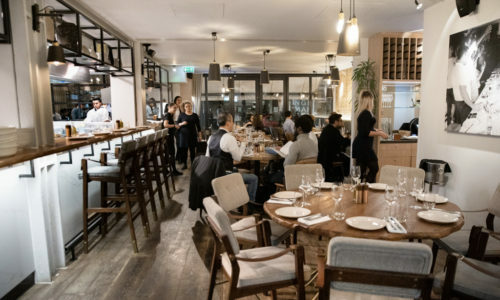 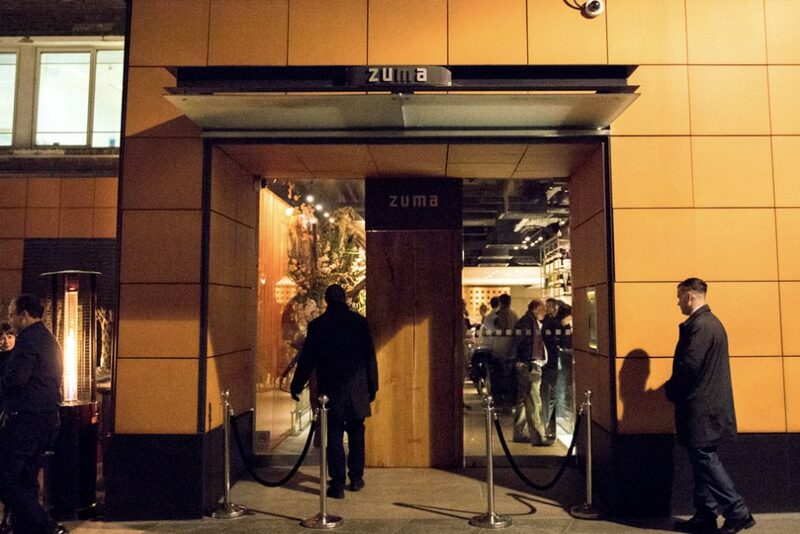 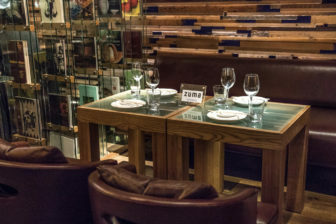 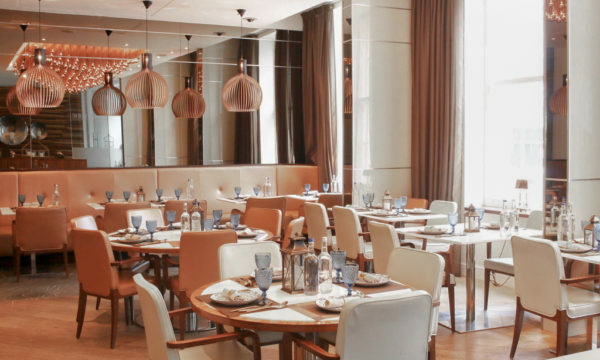 For further information and to book visit Zuma’s website here.